Sub It Club is very happy to pre-celebrate the launch of author/illustrator Elizabeth O. Dulemba’s first novel: A BIRD ON WATER STREET on May 7th. Elizabeth kindly took the time during this busy moment to answer our questions about postcards and show us her latest. 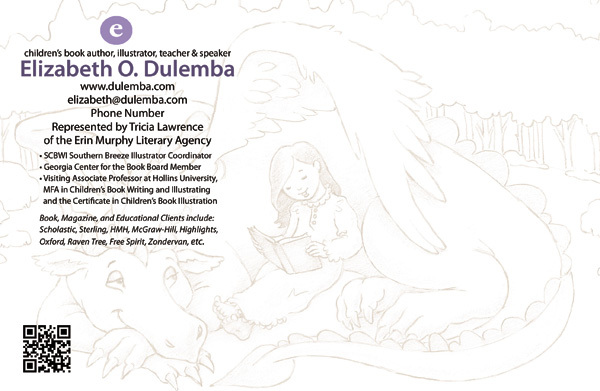 Elizabeth O. Dulemba is an award-winning children’s book author/illustrator with two dozen titles to her credit. 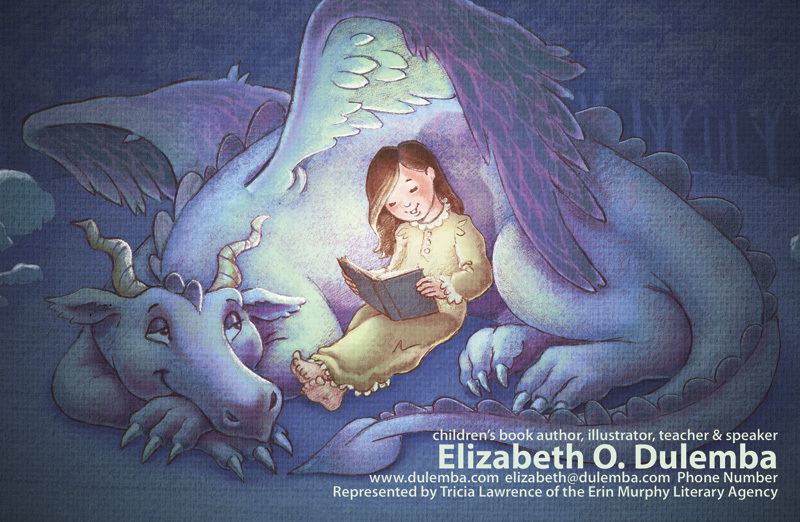 She is Illustrator Coordinator for the SCBWI Southern region, a Board Member for the Georgia Center for the Book, and Visiting Associate Professor at Hollins University in the MFA in Children’s Book Writing and Illustrating program. 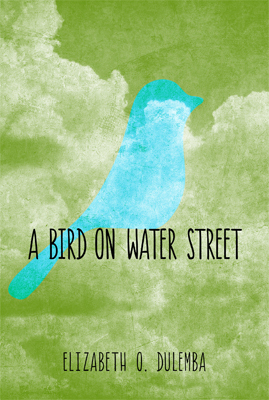 A BIRD ON WATER STREET is her first novel (Spring 2014, Little Pickle Press). I have to really like it. I don’t like everything I do. * It has to feel especially strong and make a good composition on the postcard size. I like to include very simple contact info on the front – name, phone, email, website – so that somebody wandering into an office might see it on a bulletin board (I hope), or they can reach me without pulling it off their board. I’ve paired down the text on the back of my next postcard even more to leave space to write a quick note to people I have met in person. Lovely image that draws us in and solid graphic design makes this postcard a great communication tool. Efficient use of the back space: contact info and a mini-resumé. Mine have usually been stand-alone images, although several images might come from a particular book dummy. *Excellent complement to the postcard mailings. I send to publishers, editors, art directors, designers, and magazine folks. My mailing list includes about 300 names right now (which I actually think is too big). I tell people my mailing list is one of the most valuable tools I have. I’ve been gathering names for YEARS from trade magazines, the SCBWI Bulletin, Harold Underdown’s “Who’s Moving Where,” Publishers Weekly, Publishers Lunch, Shelf Awareness, etc. I really do try to keep track of people with my mac address book – it’s a work horse! I have two folders “Postcard Mailing List” and “Email postcard mailing list” where I keep everybody listed by name. When in doubt, keep it simple. * Don’t clutter your art by using too-fancy fonts, gradients and bizarre Photoshop effects. It’s distracting and steals the focus from your artwork. Remember that postcards will be printed, so 300 dpi is standard. And allow room for trim! I’ve been using OvernightPrints.com for years. I’m now a preferred customer and I wait for their sales* (they have a lot) before I order anything. They sometimes mess up on color or trimming, but they’ve always rectified any issues and I’ve been pretty happy with them overall. *Sales! Yes, best way to buy! Thanks so much for sharing your tips and beautiful work with us, Elizabeth. And have a great book launch! Great post! Even though I’m not an illustrator, I love reading these and looking at the beautiful images. Thanks! Wonderful post! I cannot wait to read the book. I DREAM about being an illustrator. It has to be so much fun! Thank you!